A spill would be nearly impossible to clean. The Arctic ocean is estimated to hold the world’s largest untapped reserves of natural gas and oil in the world, making it an especially attractive region to fossil fuel companies. In the past, however, parts of the ocean have proved too treacherous for development and the consequences of an oil spill were judged to be too catastrophic for any successful extraction efforts to be made. Resistance from environmentalists through protests and lawsuits have also made the region difficult to explore. Despite these concerns, the Trump administration just gave the Italian oil and gas company Eni permission to conduct exploratory drilling in federal waters off Alaska. The company won’t be allowed to produce oil through this lease, but they’re freed up to look for potential oil wells. Ultimately, Eni wants to use the federal lease to develop “two extended-reach main holes and two ‘sidetracks’ to evaluate oil and gas at federal leases,” according to The Guardian, off of an artificial island Spy Island that has supported oil ventures for years. In 2016, the Obama administration suspended oil and gas exploration in most of the Arctic ocean, but like many of the environmental rules that the former administration enacted, it is now under review and could be rolled back. The Trump administration was able to greenlight the project because Eni has a lease that runs through 2017 — it will now be extended to 2019. Oil drilling off the coast of Alaska is nothing new — in fact, the state has been financially supported through such programs for decades. Many Alaskans, including some indigenous communities, support oil exploration because it means more jobs and income. But other indigenous communities facing the threat of climate change are opposed to the oil ventures and have sued to maintain the Obama administration’s moratorium. And while drilling has been a staple of Alaskan life, it gets considerably more challenging the farther a pipeline goes into Arctic water. 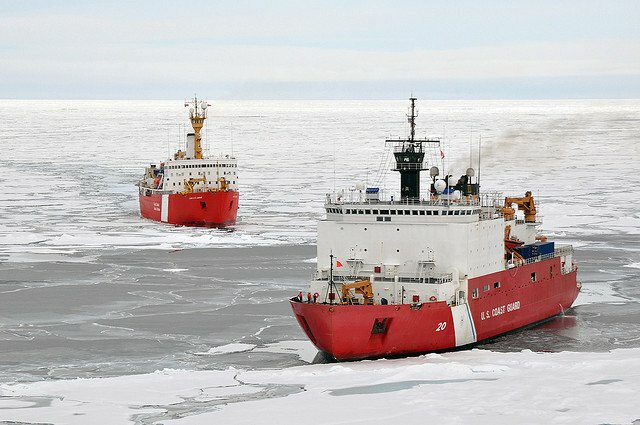 The biggest aversion to drilling in the Arctic stems from the risk of a spill, which would be nearly impossible to clean because it’s difficult to send crews up to the Arctic, the icy water would trap a lot of the oil, and the lack of sunlight during large stretches of time in the region would make clean-up efforts implausible. Oil companies are also deterred by the exorbitant costs of such an enterprise. Shell Oil, for instance, spent $7 billion trying to create a viable oil rig in the Arctic, only to abandon it in 2015 because the weather was too extreme and the infrastructure was too hard to maintain. Eni is not going to be drawing oil or gas out of the Arctic ocean anytime soon. But many environmentalists argue that even thinking about Arctic drilling is misguided and governments should instead be focusing on keeping fossil fuels in the ground.